Breathtaking landscape! 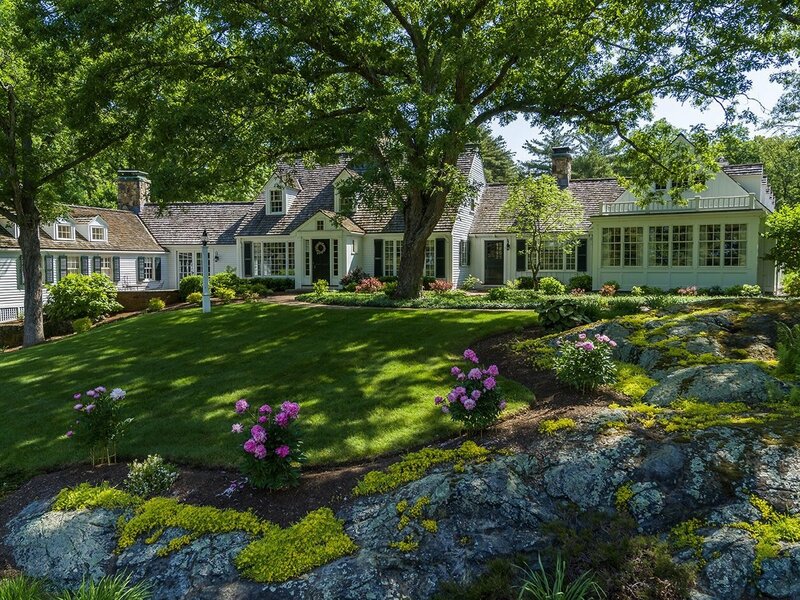 Rolling meadows and pristinely maintained grounds greet you as you approach this quintessential country estate. Completely renovated and expanded 1946 Cape combines the authentic charm of original era with modern day conveniences. Gourmet kitchen and breakfast room steps outside to a private oasis. 11+ acres with stonewalls, patios, naturally landscaped pool, tennis/sport court, Koi pond, manicured perennial beds and specimen trees abut conservation land and trails. Spacious wood-paneled library connects to a 1st floor master retreat. 4 additional bedrooms, rich wide-planked hardwood floors and entertainers family room with radiant heated brick floors, all exude comfortable warmth. Walls of windows offer picturesque views. Additional amenities include, the heated 4-car, brick floored garage — a collectors dream, a 2nd detached garage/barn and a storage shed. One of a kind–truly a must see.